Business degrees, even at the undergraduate level, have a high rate of return for students–particularly degrees in economics, which is normally taught through an economics department housed in a business school. Business is an interesting field because, unlike many areas of study, it's not uncommon for students to participate in high level research projects at the undergraduate level. This means students can start making a name for themselves in the business world earlier in their studies than many are able to in other fields. These convenient online business degree programs are flexible and designed to mesh well with busy professional schedules. While not formally part of this ranking, consider these programs when time and location flexibility are a priority for you. Degrees in either business and economics present those who have earned them with a great number of options. Business majors may start their own companies or find unique ways to apply their knowledge as a valued team member of an existing organization. Economics majors have a wide range of career options, including a choice between applied and theoretical economics. Applied economics can lead to high level jobs with companies, Wall Street firms, and the government. Theoretical economics can lead to high level engagement in the academic world. Both kinds of economists have the potential to greatly influence the modern world. Our list of the Top 25 Business and Economics degree programs is comprised of the 25 top ranked U.S. Universities in business and economics according to the Academic Ranking of World Universities released by the Center for World-Class Universities at Shanghai Jiao Tong University. The Shanghai style of ranking takes research performance heavily into consideration, and you will notice we make mention of the most highly regarded research indicators of each institution in the profiles below. For more information on the ARWU's ranking methodology, visit their methodology page. In order to help students maximize the investment of their time and resources, we at Best Value Schools have ranked the list according to 30 year net average return on investment according to Payscale.com. This ranking will provide students considering either business or economics with the information necessary to allow them to make informed decisions about where they study, and what kind of return they might expect on their investment. A key strength of business programs at Indiana University is the networking and educational opportunities that exist because of the large number of departments, institutes and centers that help to support and enhance the curricula. For example, the Indiana Business Research Center, located at Indiana University's Kelley School of Business, is home to the Indiana Business Review and numerous research initiatives including Driving Change: Greening the Automotive Workforce, Indiana Workforce Intelligence System, and Innovation in American Regions, which applies a regional focus to business innovation. Ohio State University is home to the Journal of Money, Credit, and Banking, a journal for the publication of academic research into these subjects with an economic focus. The business research focus of Ohio State is on interdisciplinary research, focusing on bringing together minds with a wide variety of experience for collaboration. Michigan State University is a highly regarded mid-western public university. The International Business Center at Michigan State was designated as a national resource center for business education and research. The International Business Center is home to a variety of business related research, and allocates grant funding to those seeking to pursue research with potential impact on the realm of international business. Northwestern University has a strong economics program. Nobel Prize winning George Stigler of the Chicago School of economics was a graduate. 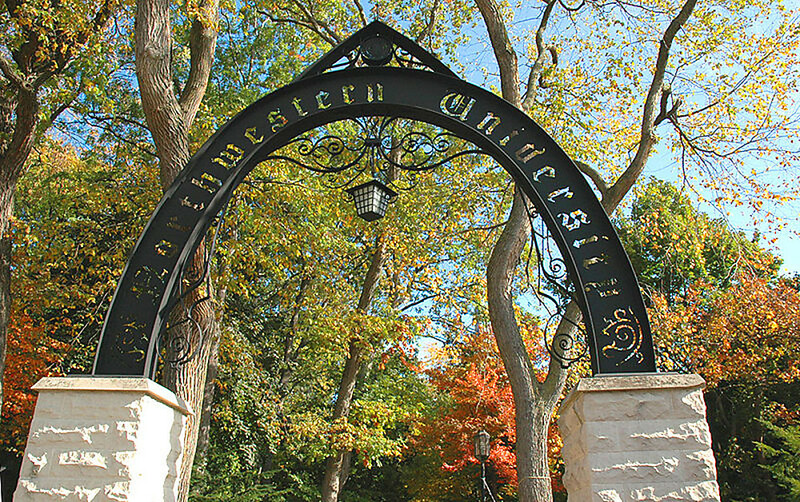 Northwestern is one of the best rated schools in the United States in general, and its economics program ranks 10th according to the Academic Ranking of World Universities. The school offers copious opportunities for research at its economics research centers which include: Center for the Study of Industrial Organization, Center for International Macroeconomics, and the Center for the Study of Development Economics, among others. The University of Chicago may not have the highest 30 year average net return on investment on this list, but its economics program is legendary. The Chicago School of Economics is one of the foremost economic programs in the world and it continues to be refined and developed. Prominent scholars of the Chicago School are Frank Knight, George Stilger, Milton Friedman, and Richard Posner. The University of Chicago has seen ten alumni win nobel prizes in economics, more than any other single university in the world. The Department of Economics, housed in the W.P. Carey School of Business at Arizona State University, is home to numerous cutting edge research centers. Some of the economics research centers at Arizona State are the Center for Competitiveness and Prosperity Research, the JP Morgan Chase Economic Outlook Center, Center for Advanced Study in Economic Efficiency, and many more. Academic studies are complemented by the learning and networking opportunities presented by these state of the art research centers. ASU also appears on our list of the Top 20 Ranked Up and Coming Universities With the Best Return on Investment (ROI) and Top 10 Cheap Online Entrepreneurship Degree Programs (Bachelor's) 2014. 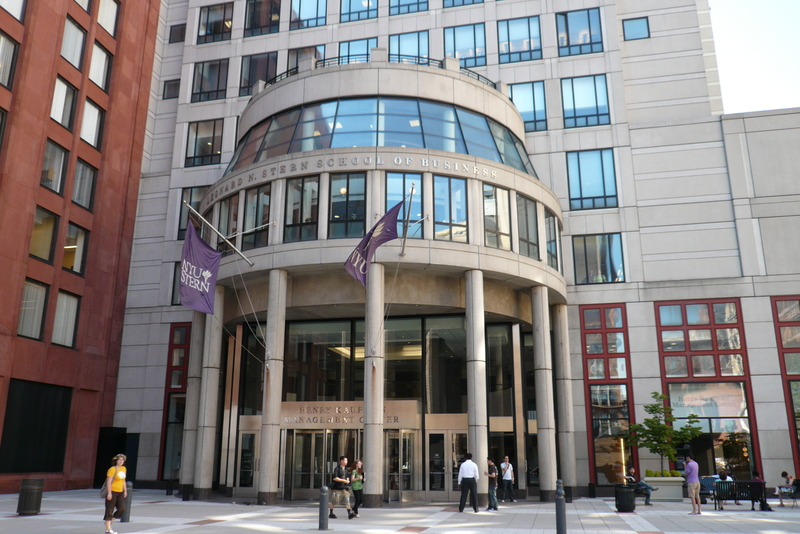 NYU Stern is one of the world's most renowned business schools. The research taking place at its various research centers is designed to revolutionize the modern understanding of business. Among the many research centers at Stern, a few stand out. These are the Center for Business and Human Rights, Urbanization Project, and the Berkley Center for Entrepreneurship and Innovation. NYU also engages in impressive economics research in areas like Game Theory, Mathematical Economics, Monetary History, Experimental Economics, Econometrics, and many more. The University of Minnesota Twin Cities is one of the mid-west's premier public universities. The Carlson School of Management offers both undergraduate and graduate students the opportunity to engage in advanced business research through the school's numerous research centers which include the Carlson Global Institute, Center for Human Resource and Labor Studies, Center for Integrative Leadership, Institute for Research in Marketing, and more. The Huller-Hurwicz Economics Institute also offers students the chance to engage in groundbreaking research intended to address many global challenges. UCLA was founded in 1919 and was one of the earliest state universities in California. The UCLA Anderson School of Management was founded sixteen years later in 1935, in the midst of the Great Depression and began offering an MBA four years later, in 1939. The UCLA School of Management features research organizations that conduct cutting edge business research. These include the Behavioral Lab; Center for Global Management; Managing Enterprises in Media, Entertainment, and Sports; and the Laurence and Lori Fink Center for Finance and Investment, among others. The economics department is home to the UCLA Center for Economic History and the Robert Ettinger Family Program in Macroeconomic Research. One of the most respected public universities in both business and economics, the University of Michigan offers students a wide range of opportunities. Being a research university, research in either area is something in which students have a chance to take part. Business research institutes include the Frederick A. and Barbara M. Erb Institute for Global Sustainable Enterprise and the Center for Positive Organizations. Economics research at the University of Michigan tends to be interdisciplinary, so students will find themselves working with the Gerald R. Ford School of Public Policy, the Institute for Social research, and the Office of Tax Policy Research, among other schools and centers where an economic point of view is beneficial. The University of Washington's Economics Department is home to the Economic Policy Research Center which conducts research with the intent of providing useful empirical information to makers of economic policy. The EPRC conducts research in such areas as: Fiscal and Tax Policy, Health Policy, Trade and Economic Development Policy, and more. The Foster School of Business ranks 8th in Management Research Productivity. 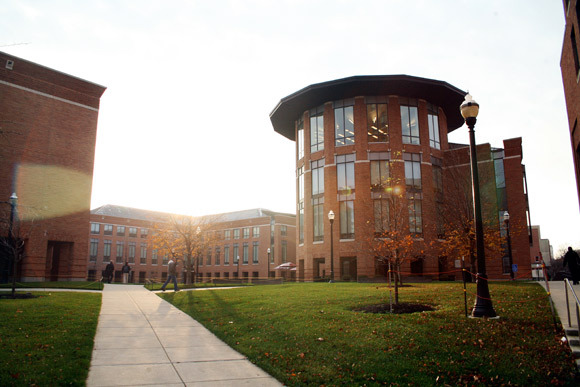 Research centers at Foster include the Arthur W. Buerk Center for Entrepreneurship, The Global Business Center, and the Consulting and Business Development Center. The University of Texas at Austin is home to the Bureau of Business Research which is focused on applying various tools to better understand the Texas economy in order to help inform Texas businesspersons and policy makers. The school is also home to the Undergraduate Economics Journal, which is the premier economics journal for the publication of undergraduate research in economics. The University of Maryland is a public university. The Robert H. Smith School of Business is home to two primary research labs that are focused on advancing our understanding of business in an empirical manner. These labs are the Behavioral Laboratory and the Financial Markets Laboratory. The department of economics conducts research with a global focus through the Center for International Research. Yale is over 300 years old and is the third oldest body of higher education in the United States, founded in 1701. The Yale School of Management conducts some of the most advanced economics and business research in the world. Among the research conducted at Yale you will find the Center for Customer Insights, International Center for Finance, and the Cowles Foundation for Economic Research which is focused on advancing our understanding of econometrics, economic theory, and other major aspects of the field. The Rady School of Management at the University of California San Diego is well regarded on a global scale and has produced numerous notable business persons over its history. Some of these include a co-founder of Ask Jeeves, a VP of Sun Microsystems, founder and CEO of Linden Lab, and CEO of Asia Pacific Global Research Group. The University of California Berkeley is the only public university in our top ten, and the only public university ranked in the top ten of the Academic Ranking of World Universities' business and economics ranking. Berkeley has produced five nobel laureates in economics, and many notable alumni of its business programs. Berkeley's Haas School of Business has produced such notable alumni as Scott Adams, creator of Dilbert, Bank of America President Barbara Desoer, and Shantanu Narayen, CEO of Adobe. Duke was founded by Methodists and Quakers and still maintains a formal ongoing relationship with the United Methodist Church as two-thirds of the trustees are elected by the United Methodist Church Conference. Duke is, however, an independent, non-sectarian university. The Fuqua School of Business at Duke is one of the most prominent in the United States. Heavily focused on research, the Fuqua School of Business is home to the Fuqua/Coach K Center of Leadership and Ethics, Center for Advancement of Social Entrepreneurship, and the Center for Financial Excellence, among others. Cornell University was the first coeducational school among the illustrious Ivy League, it began accepting women in 1870. Cornell has produced two nobel laureates in economics, and its business programs are very strong. Notable alumni of the economics program at Cornell are Ricardo Hausmann former chairman of the International Monetary Fund, and Frank H. Knight one of the originators of the Chicago School of Economics. The business programs at Cornell have produced founders of many companies including Burger King, Staples, Qualcomm, and Grumman Aerospace Corporation among many others. Columbia University is one of the oldest universities in the United States, one of the few founded before there even was a United States, its founding year being 1754. The school, originally founded as King's College is the oldest university in the state of New York and the fifth oldest in the United States. Many of those instrumental to the founding of our nation were educated there, including Alexander Hamilton, the first Secretary of the Treasury, and John Jay, who was the nation's first Chief Justice. The academic programs at Columbia have been instrumental in the formation of United States academia throughout the history of the country. The school has produced seven nobel laureates in economics, including Milton Friedman. Carnegie Mellon University's Tepper School of Business has produced numerous CEOs, executives, and company founders throughout its history. The school's economics programs have produced five nobel prize winning economists. CMU was founded in the year 1900 by industrialist Andrew Carnegie and stands as one of his greatest philanthropic contributions to modern society. Since its beginning the school has played a key role in the development of the business world and our understanding of economics and technology. The Wharton School of the University of Pennsylvania is one of the best business schools in the world. The school has made a goal of becoming the most comprehensive source of information about the business world. While no alumnus of the University of Pennsylvania has won a Nobel prize in economics, several researchers and professors have been awarded the Nobel prize while at UPenn. The school's economics programs are considered to be among the best in the world. Princeton has produced five Nobel laureates in economics. Princeton is one of two Ivy League universities that does not have a business school. Instead, Princeton is more focused on economics and the finance industry specifically. The focus at Princeton is on research in finance from a quantitative and/or mathematical perspective. Nobody can argue with the results. Princeton has produced some of the world's finest mathematicians, economists, and businessmen, including: a Vice Chairman of the Federal Reserve Board, a Chair of the U.S. President's Council of Economic Advisors, and many more. Harvard Business School is legendary for consistently being considered the best business school in the world. Harvard Business School is so entwined with the history of business education that one can safely say business education would not be the same today had the [then] Harvard Graduate School of Business Administration not introduced the world's first MBA. Just as impressive as the Harvard business programs are their economics programs which have produced 13 Nobel laureates in economics throughout the school's history. The business program at Stanford is one of the best in the world. The university is located in the heart of Silicon Valley, a prime location for budding entrepreneurs looking for opportunity. The combined annual revenue of all the companies that have been founded by Stanford alumni is over $2.7 trillion, equivalent to the tenth largest single economy in the world. The economics program at Stanford is also devoted to revolutionizing the way we think about the subject. Stanford has seen three alumni of the school become Nobel laureates. MIT's Sloan School of Management is one of the most renowned business schools in the world. The impact of MIT on business and the realm of economics has been huge throughout the school's history. Part of the impact on economics has been the fact that the school represents such a high class level of mathematics research and education. The interdisciplinary application of mathematics to economics has had a huge impact on modern economic thought. MIT has produced eight Nobel laureates in economics, and its business program has seen alumni occupy such illustrious positions as CEO of the New York Stock Exchange, U.S. Treasury Secretary, and high level executive positions at many of the biggest firms on Wall Street.